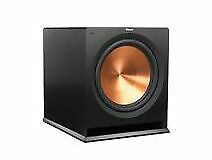 Sony Home Theater System Passive Subwoofer Model: SS-WP700. Condition is Used. Tested and working. Overall good condition. MODEL# SWA-W700/ZA. Woofer Size. SAMSUNG SOUND SUBWOOFER. Subwoofer Type. 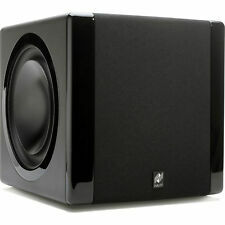 Sound 10" 200W Wireless Powered Subwoofer. 120 kilohertz. Cable(s) Included. BOX MAY SHOW. Trending at $287.49eBay determines this price through a machine learned model of the product's sale prices within the last 90 days. BOSTON ACOUSTICS SUBSAT 6 SERIES 2 bookshelf SPEAKERS w PV12 SUBWOOFER White. Condition is Used. Some scuffs and scratches. Trending at $298.33eBay determines this price through a machine learned model of the product's sale prices within the last 90 days. Up for auction is a Sony Subwoofer SS-WSB111 In good used condition was Tested Works but has some light scratches and a small corner dent. What you see is what you will be receiving. Selling As Is. I ship with tracking number. If you like what I sell Check my eBay store. Free shipping is for the continental U.S. Only. Outside the continental U.S. I shipping with Global shipping program on eBay. (See details) Thank you for looking. 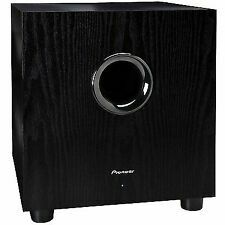 Pioneer HTP 100-SW Subwoofer. It may not look great but it still functions great. 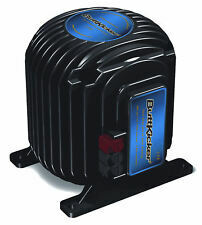 Electro Inc Black Wired Passive Digital Dolby Surround Sound Subwoofer. 6 Ohm Subwoofer. Made In Unknown. Condition is Used. Passive Bose HT subwoofer. SAMSUNG PS-FW1-2 SPEAKER SUBWOOFER. Condition is Used. Shipped with USPS Priority Mail. Subwoofer only. Creative Labs Sound BlasterX Katana Sound Bar - 51MF8245AA000. Condition is still new. Didnt really setup the soundbar with my setup. Acoustic Audio HDS10 In Wall Sub Speaker. Acoustic Audio WS1005 Passive In Wall Subwoofer Amplifier. 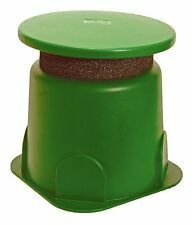 Authentic Kevlar Cone Woofer with Extended Throw Drive Assembly. It can handle 300 watts of power and features an authentic Kevlar component 10" woofer, which responds note-for-note without coloration and has 30 percent more power handling capabilities than your typical subwoofer. 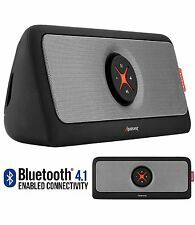 Bose Acoustimass 7 Home Theatre Passive 200W Subwoofer Module ONLY. Condition:Used Good Extra Info: Does NOT Include Connection Cable. Service You Can Trust. Kensington, NH 03833. ITEM HAS LITTLE SIGN OF USE AND DIRT DUE TO NORMAL USAGE.TESTED. 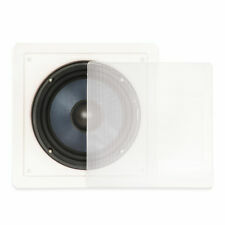 Bose Acoustimass 3 Series III Subwoofer White. -Clean and excellent working condition. Trending at $36.63eBay determines this price through a machine learned model of the product's sale prices within the last 90 days. 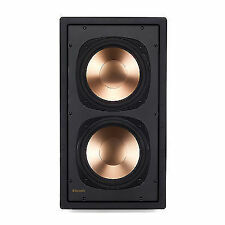 Acoustic Audio HD-S10 High Definition Series Passive In Wall Sub Speaker. 10" Woofer. Woven Fiber Bulletproof Cone Woofer Provides Low Frequency Tones. The sub can handle 300 watts of power and features a 10" woofer, which responds note-for-note without coloration and has 30 percent more power handling capabilities than your typical subwoofer. Needs separate amp to function. NOT SELF-POWERED AND NOT ORIGINAL SPEAKER but OEM compatible with dual voice coils and original power capacity.